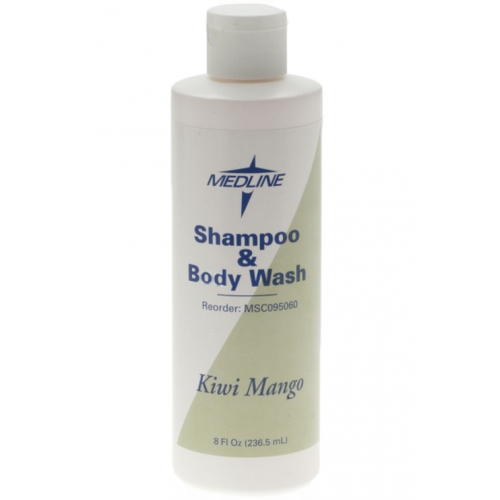 Fragrance Shampoo and Body Wash, manufactured by Medline, is a rich, full shampoo and body wash for the skin and hair. 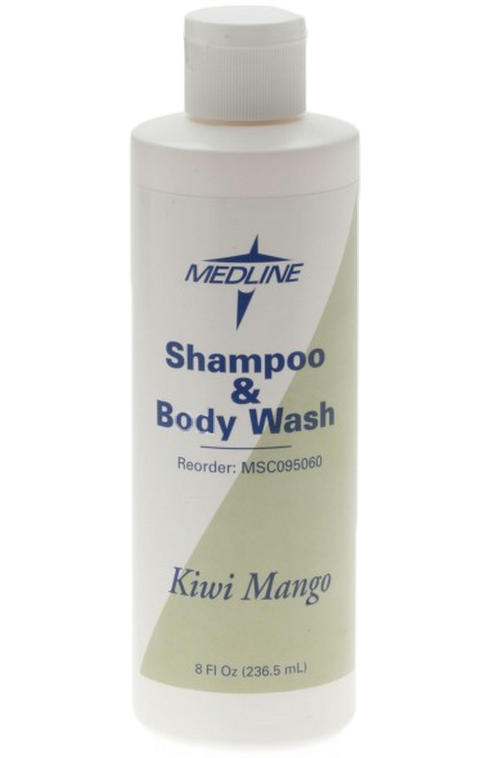 This product is ideal for nursing homes and care centers because it is shampoo and body wash in one. Having shampoo and body wash in one saves time and resources for both the caregiver and patient. This product produces a rich, full lather to soothe, condition and moisturize both the skin and hair. Moisturization is done by the PH balanced solution that can help with preventing over-drying of the skin and hair. Fragrance Shampoo and Body Wash is available for SALE at Vitality Medical and can provide caregivers and patients convenience and comfort. This bodywash contains the active ingredient sodium laurel sulfate and can be used head to toe. This product has an additional benefit of it's kiwi-mango fragrance and colourful bottle with flip top cap, making it pleasant to use and have. BUY Fragrance Shampoo and Body Wash from Vitality Medical today. Great product for a itchy scalp. Excellent service!